It’s summertime in Michigan, which means it’s also time for home maintenance and renovation projects for many of you. While tasks like garden planting, garage clean-ups, and organization are always at the top of homeowners’ to-do lists, some larger – and arguably more critical – projects like window replacement are left for “someday”. While some window replacement projects may be vital to the safety and security of your home, others may find it’s simply time for an upgrade. Do your windows have cracks in the glass? Are the frames warped? Are the seals failing? Can you not even open your windows the whole way anymore? If you’re currently getting by with damaged windows, you know the struggle. Poor insulation and cold drafts have probably left you pretty frustrated with your windows after the winter, and it’s only a matter of time before you start to “feel the heat” of the summer. Damaged windows can also present security and safety risks that should be addressed as soon as possible. ARE YOU JUST LOOKING TO UPGRADE? Is it time to update your home? Are you looking for a more stylish window? A better performing window? Maybe you’re hoping to integrate your windows into your smart home and security technology. Even if your windows aren’t in poor condition, there are plenty of other reasons to upgrade your them. Better energy efficiency, better security, added beauty & style, easier function, and the list can go on. Window replacement is an investment and can feel daunting at first. Whatever your reasons to replace your windows, we thought we’d cut to the chase and give you our top 3. Who knows, they may even help you move “replace windows” off your “someday” to-do list. If you’ve been debating the prospect of replacing the windows in your home, here are some important reasons to consider giving our team of professionals at AOA a call today. One of the best reasons to invest in window replacement in Michigan (and anywhere else in the country) is because of just that: the investment. In the Grand Rapids/West Michigan area, replacing your windows can yield an average of 70% return-on-investment when you go to sell your house! Download the Report Here. Another reason to invest in new windows is to make your home more secure. New windows simply function better and designs for security are improving every day. 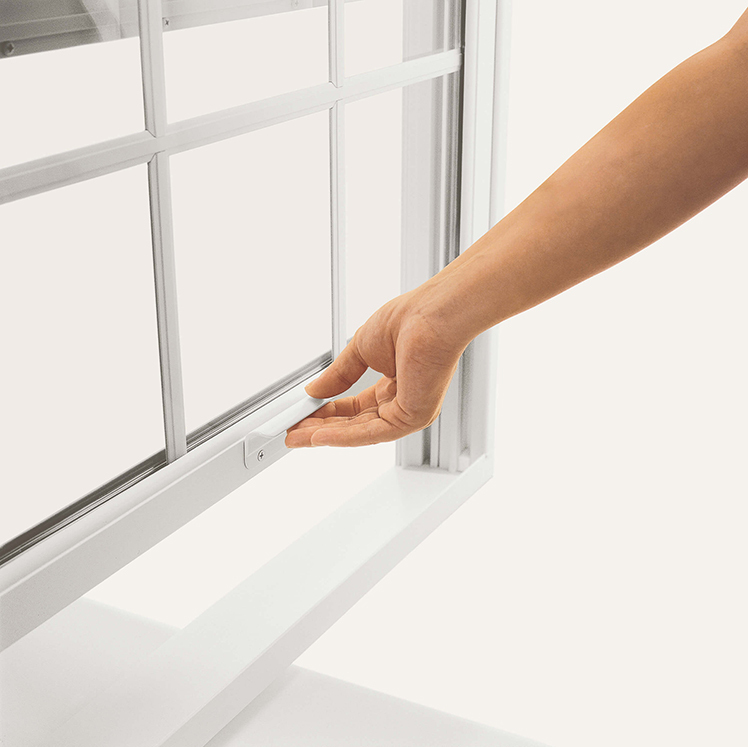 Windows today have better locking systems, impact resistant glass, stronger framing, etc. When it comes to protecting your family, new windows will go a long way. Based on a report by the University of North Carolina at Charlotte’s Department of Criminal Justice and Criminology, about 60% of convicted burglars stated the presence of a security system influenced their decision to target another home. In response to this staggering stat, Marvin Windows have created The Lock Status Sensor that can integrate with your smart home and security systems. You can get alerts if someone’s been tampering with your windows, or you can check if you’ve left any windows open at night. Pretty cool. Oh, and by the way, this additional security is another factor that adds to the home’s value as well. DID YOU KNOW? : Approximately 30% of intruders enter a home through an UNLOCKED door or window. Especially in Michigan, with frigid winters and scorching summers, a well-sealed home can mean the difference between comfort and agony. Older windows naturally develop leaks and cracks over time. Even if your windows don’t look damaged, they may have lost their seals long ago, causing expensive energy bills – and let’s face it – total discomfort. Also, most of the new windows we offer can be made with low-emissivity (low-E) glass, which has a thin metallic coating that reflects heat back to its source. This helps to keep heat inside the house in the winter and out of it in the summer. DID YOU KNOW? : Low-E coatings are proven to reduce energy costs and block UV rays while still allowing about 95% of natural light to pass through. Whether you’re desperately in need of new windows, or just looking for that upgrade that will really take your home to the next level, AOA has the window replacement products and specialist Grand Rapids residents need to make their home safer, more stylish, and more valuable. Give AOA a call today! ← Why Upgrade to Panel Doors?